If you’re reading this then you have just stumbled upon the first ever HiveFeed update from Aerohive. HiveFeed is your go-to place for monthly insider updates, keeping you in the loop with everything Aerohive. 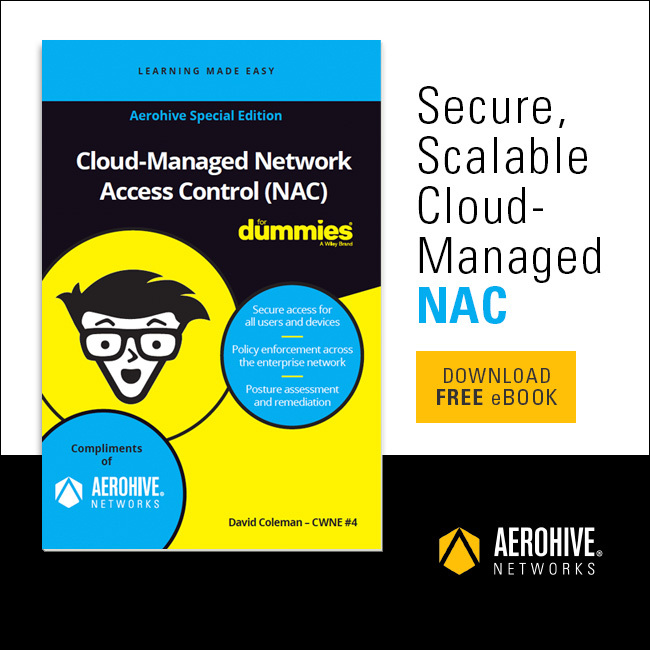 A3 is Aerohive’s entry into the secure access management market. 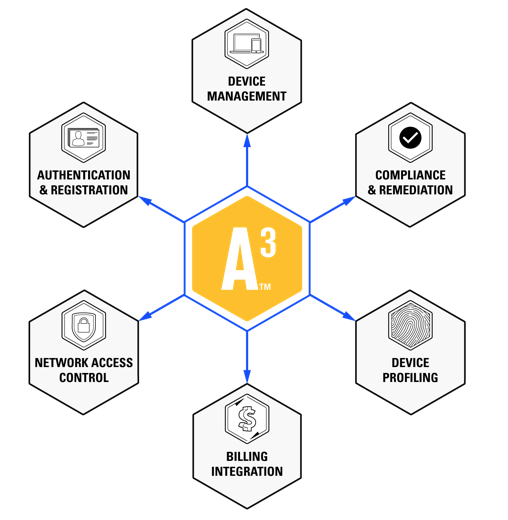 A3 is a powerful solution, that includes comprehensive functionality for onboarding, authentication and network access control, for ALL devices on the access network. That includes wired and wireless corporate clients like laptops, BYOD, where employees connect their own devices to the network, as well as guest devices and IoT. 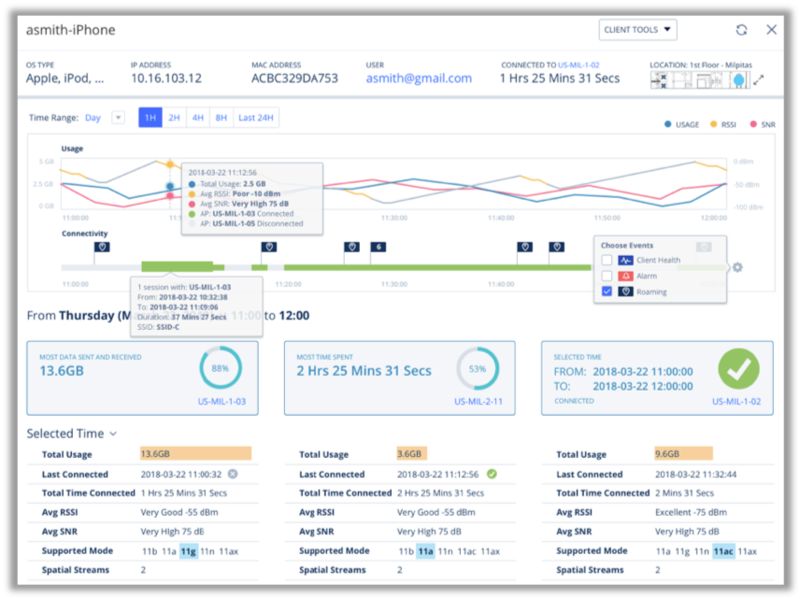 We recently rolled out some huge updates to SD-WAN. You can now combine user-based and application-based rules into a single SD-WAN route group. What does this mean? It means you can state, for example, when a corporate user accesses Skype, forward their traffic via the MPLS network. If a guest user does the same, however, pass their traffic over the broadband connection. Oh, there’s also the matter of some (awesome) SD-WAN visualization updates. 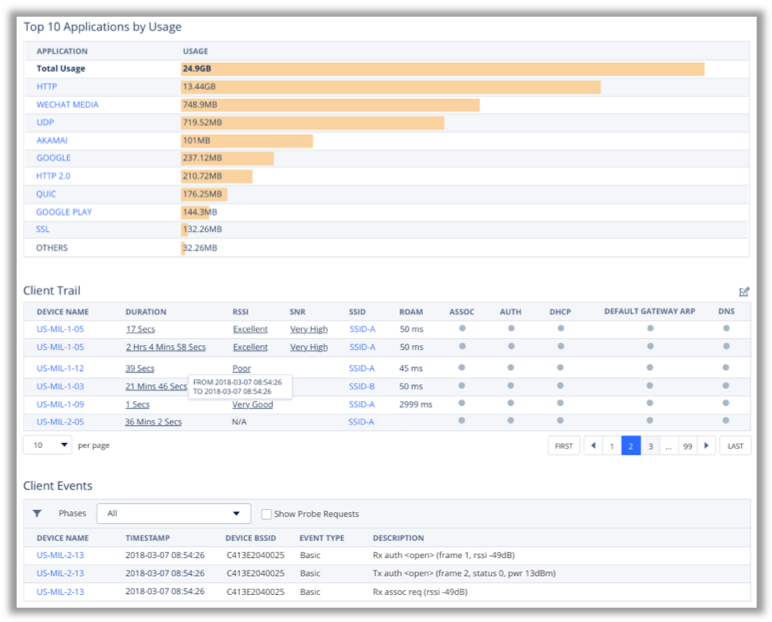 New to HiveManager, you can view the effectiveness of routing policies and WAN link states. 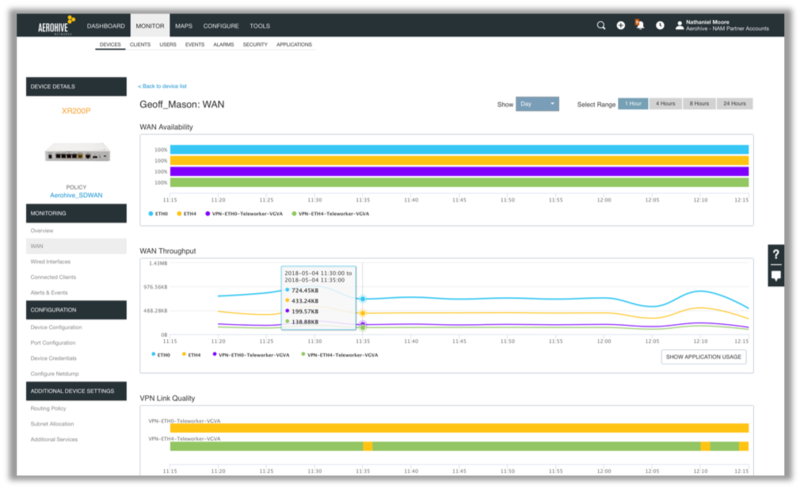 Plus, see real-time and historical analytics that illustrate VPN latency, packet loss, throughput statistics and overall link quality using a variety of key performance indicators. 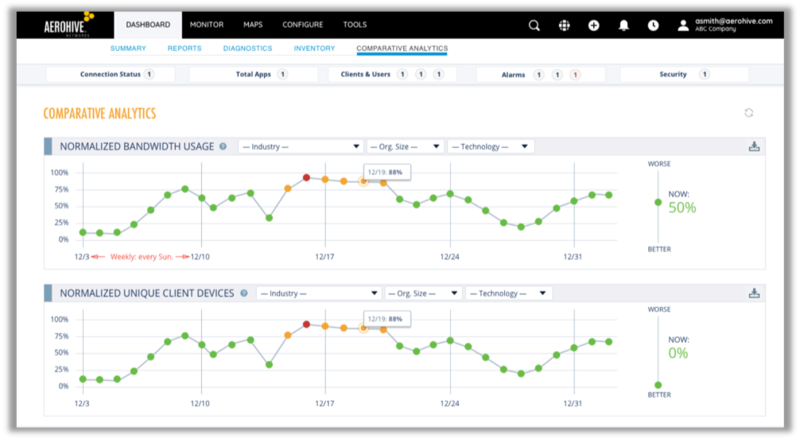 Comparative analytics enables you to anonymously compare the operational and performance metrics of your network against the networks of other HiveManager Cloud customers in defined industries. In the most recent update, you can now go back in time! Implemented a change on your network and wondered how it’s affected your comparative score over the past week? Now you can check! We heard you and we listened. 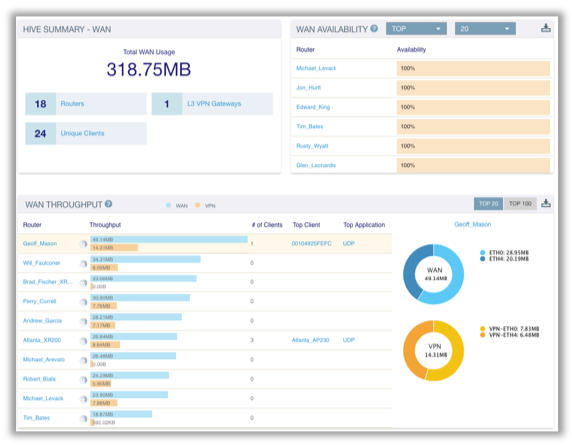 HiveManager Virtual Appliance now comes with its own management console. Say goodbye to vSphere dependency. 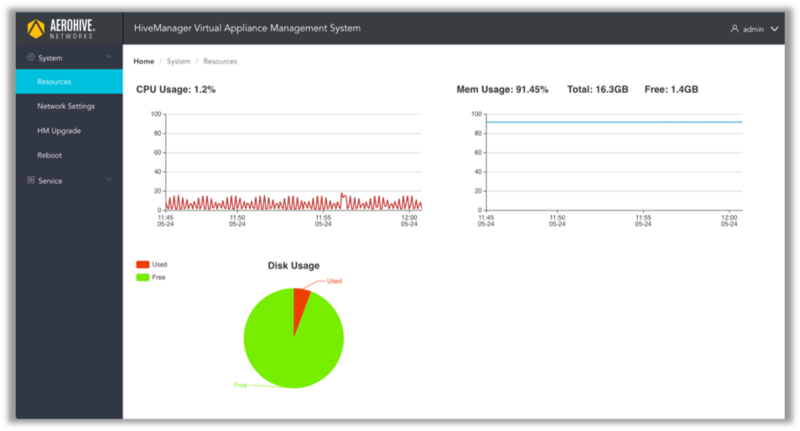 HiveManager VA can now be installed directly onto a VMWare ESXi hypervisor. By the way, the new interface rocks too! Search the historical database for a specific client device. Download the historical information regarding a specified (wireless or wired) client device. Delete/Erase all the historical information regarding a specified (wireless or wired) client device. Download all the information regarding a user or administrator account. Delete/Erase all the information regarding a user or administrator account. Want to know more on how Aerohive addresses GDPR? Read here. Did you know by simply scanning a QR code, guests can securely connect to your Wi-Fi using PPSK? It’s easy to set up and even easier to use. Scanning a QR code to effortlessly connect devices with a PPSK just goes to show that achieving good security doesn’t have to be at the cost of usability. 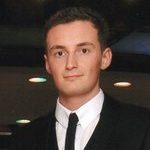 Experiencing client connectivity problems on your network but not sure where the problem lies or exactly when the issue occurs? Is it poor signal strength? Perhaps your DHCP server isn’t responding? Coming out later this month, Client 360 provides comprehensive, historical information related to client activity, behavior analysis, health, connectivity statistics and much more. This new tool makes it easier than ever understand exactly what, when, where and why client issues occur. Check out the below screenshots from an early build of Client 360 (subject to change). Thanks for checking out this monthly edition of HiveFeed! Come back next month for more content!